Undoubtedly one of those products I use to the very last drop and turn to time and time again, this super special and ridiculously hardworking body lotion helps to combat dryness and ‘chicken skin’ basically overnight. I’ve used it off and on for many years, and it always delivers when I need it to. The formula contains optimum levels of lactic acid to gently exfoliate dry skin and reveal the healthy cells beneath the surface, as well as a unique LaH6 Skin Hydration Complex (containing a powerful combination of moisturising ingredients) that’s clinically proven to moisturise for up to 12 hours. Considering its super hardworking, the texture is really light and it instantly leaves skin smooth; for best results I like to lather it on before bed and awake with smooth limbs! I’m putting a few of the ESPA products to the test at the moment, but this one has been a complete treasure come the evening. My skin drinks up this super rich body oil in moments, leaving the surface looking and feeling nourished, but it’s the combination of scents that makes it something special: Sandalwood, Rose Geranium, Myrrh and Frankincense help unwind and ease the mind, putting me in the perfect mood for a good slumber. The inclusion of Sweet Almond Oil deeply nourishes for beautifully supple skin, but it’s the ritual and self-indulgence that really ticks my boxes and makes this more than just another body oil. One of my earliest forrays into self tan included a bottle of Dove tinted body lotion, so it’s been a real delight to rediscover a long-term fave of mine and start using it practically every morning. Like with all Dove body lotions the formula is non-sticky and non-greasy, helping to hydrate the surface and leave it feeling instantly supple without taking an age to dry; this little number also includes a subtle and natural amount of fake tan that develops throughout the day to leave a sunkissed glow. Available in two shades, although it’s not fragrance free it’s not offensive and is an affordable way to look after your skin and keep it looking fabulously healthy. I’m always rather dubious about these kind of products that claim to be a ‘miracle’ or provide super moisturisation in practically milliseconds, but Sanctuary has until now always met or exceeded my expectations so I gave it a go. Apparently this is clinically proven to lock in double the hydration than your skin can do alone, providing a super quick and easy way to moisturise skin when you’re short or time or want to minimise fuss. You apply it post shower when your skin is still wet, letting it dry for a few moments before you towel dry as usual – no hanging about for ten minutes waiting for it to activate, and no need to wash it off either. Infused with apricot and avocado oil, this does actually work and left my skin feeling softer and less parched than it usually would feel post-shower (even if less lubricated than with a regular lotion.) Although it’s by no means a ‘miracle’ (brands, would you stop using that as a descriptor?!) 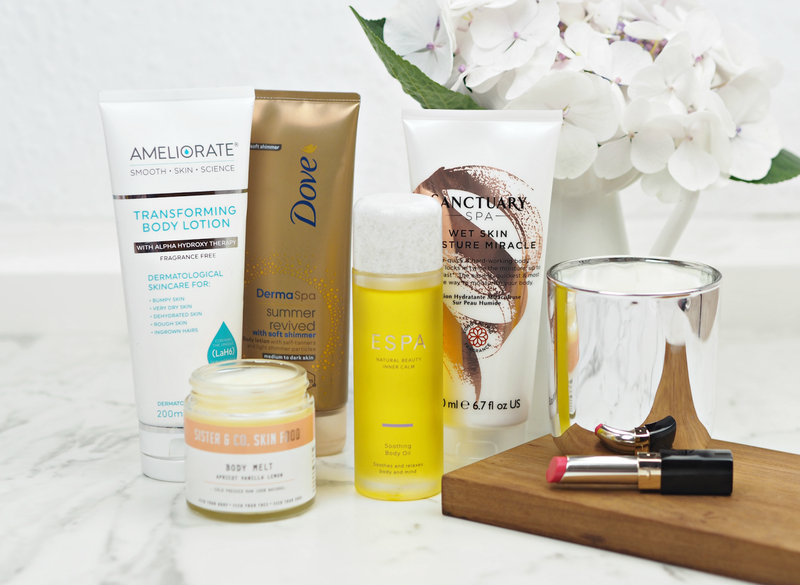 it’s a great way to quickly and effortlessly moisturise when you’re short on time. How are you battling the strange season we’re having right now? 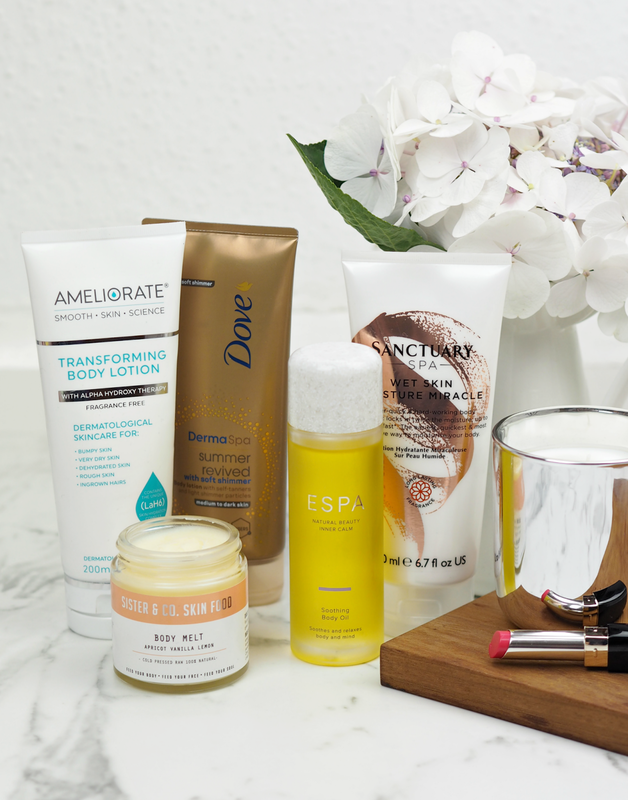 Will you be giving any of these a go, or do you have any other moisturising skin treats I should know about? 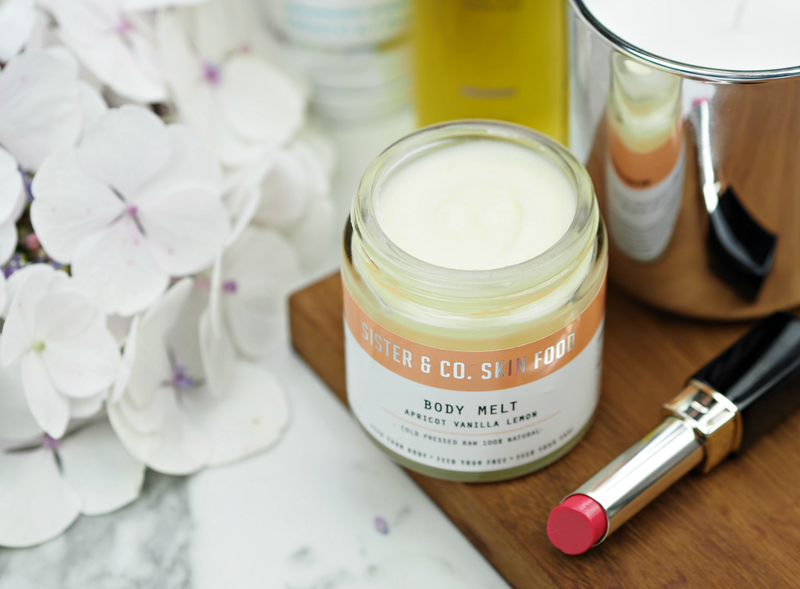 That's an ingredient I've started to drip into body care too – it's a great all round ingredient for moisture! You can't beat a bit of Dove! Ren have some amazing scrubs, or Caudalie have some gentler ones. If you want a budget buy Sanctuary have some fab ones that don't smell too strong.